Our range of products include bopp bags for packaging, bopp bags, bopp woven bags, packaging bopp bags and bopp laminated bags. We are one the well-known manufacturers, suppliers and exporters of BOPP Bags for Packaging. The offered bi-axially oriented polypropylene bags for packaging are commonly used for the storage and transport of spices, pulses, fertilizers, salt and paint powders. Our supplied bi-axially oriented polypropylene bags are available at very affordable rates. We are one the well-known manufacturers, suppliers and exporters of BOPP Bags. The offered bi-axially oriented polypropylene bags for packaging are commonly used for the storage and transport of spices, pulses, fertilizers, salt and paint powders. Our supplied bi-axially oriented polypropylene bags are available at very affordable rates. We are one the well-known manufacturers, suppliers, and exporters of BOPP Woven Bags (BOPP Bags). The offered bi-axially oriented polypropylene bags for packaging are commonly used for the storage and transport of spices, pulses, fertilizers, salt and paint powders. Our supplied bi-axially oriented polypropylene bags are available at very affordable rates. We are one the well-known manufacturers, suppliers, and exporters of Packaging BOPP Bags (BOPP Bags). The offered bi-axially oriented polypropylene bags for packaging are commonly used for the storage and transport of spices, pulses, fertilizers, salt and paint powders. Our supplied bi-axially oriented polypropylene bags are available at very affordable rates. 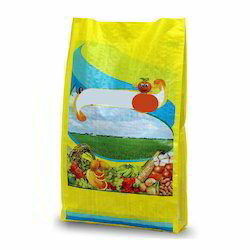 We are one the well-known manufacturers, suppliers, and exporters of BOPP Laminated Bags (BOPP Bags). The offered bi-axially oriented polypropylene bags for packaging are commonly used for the storage and transport of spices, pulses, fertilizers, salt and paint powders. 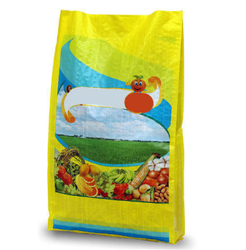 Our supplied bi-axially oriented polypropylene bags are available at very affordable rates. Looking for BOPP Bags for Packaging ?